It’s often been said that good things can come in small packages. 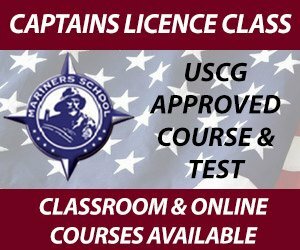 Now, aside from the obvious and occasional loud mouth short guy that is clearly overcompensating, we have found some validity to that claim. Things like the the original iPod, the Mazda Miata, Jelly Belly jelly beans, any Mini Dachshund on the planet, or Peter Dinklage all prove that yes, in fact, some of the best and most joy-inducing things on this planet are not very big in stature at all. 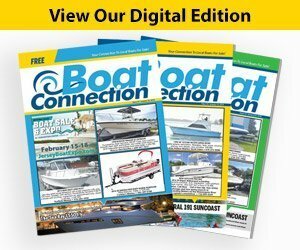 This to can happen when it comes to the boating world. 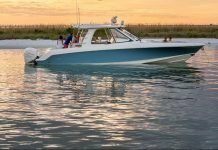 Sure, it would be nice to have a forty foot yacht to cruise up and down the eastern seaboard on, but not all of us live like the Wolf of Wallstreet or Gordon Gekko. 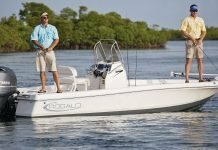 Thankfully, the folks over at Robalo have created the new 206 Cayman S — the newest, and now smallest of their bay boat lineup, and once again it seems as though we have one more example of just how good something can be despite its lack of size. With a length overall of a mere 20’ 6”, a beam of just 8’ and a dry weight of only 2600 pounds, the Cayman S is able to hold up to eight people or 1200 pounds. 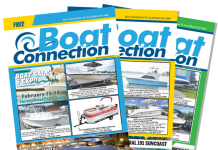 There are wide avenues to walk around the boat (20” inches of room on either side) to any of its many seating areas. 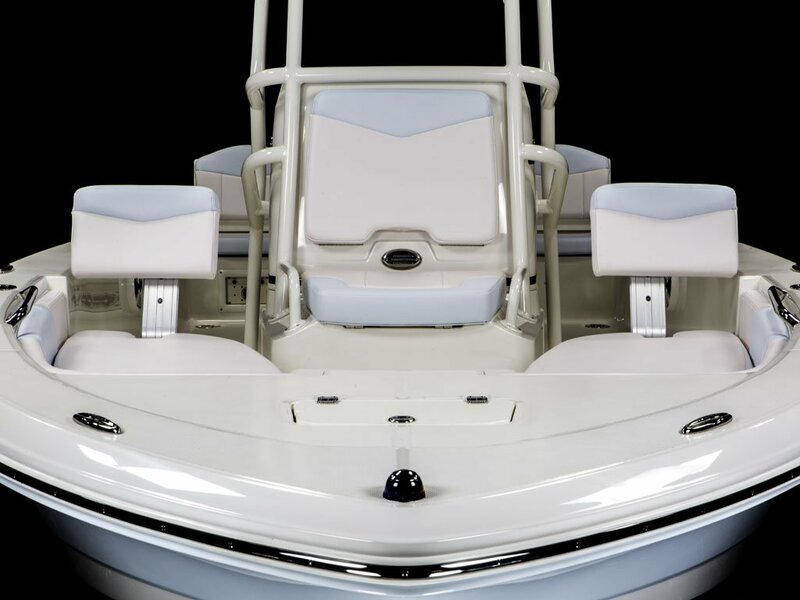 The center console has a wide center console leaning post that also has another seat on the front of the console. Up at the bow, there are twin chaise style seats that have backrests that can be removed if desired. That same bow area can double as a formidable casting deck once those backrests and plush cushions are put away. 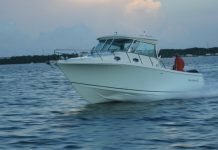 Even the anchor hatch closes things off and adds more space to cast from at the very front of the boat. The bow hatches supply plenty of storage and are supported by stainless struts. 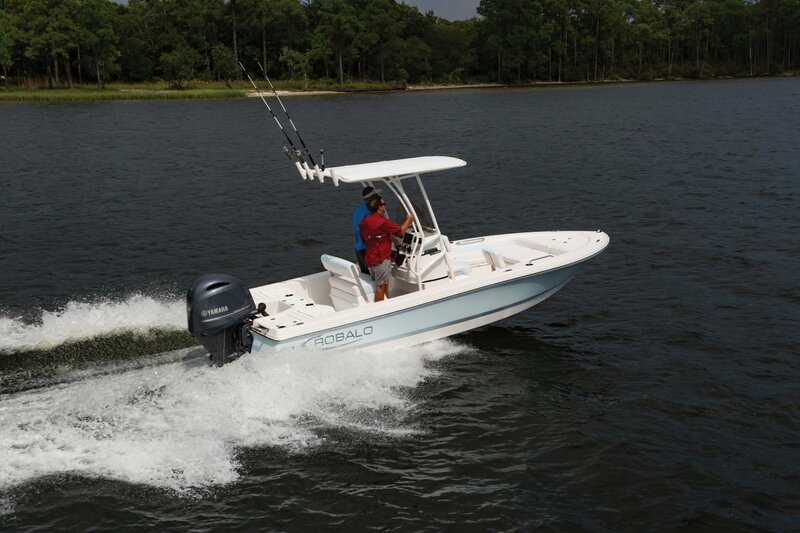 All the storages are the lift-and-lock style that makes things easy. The floor is covered in non-slip diamond patterned surface cover to make sure everyone stays safely aboard. 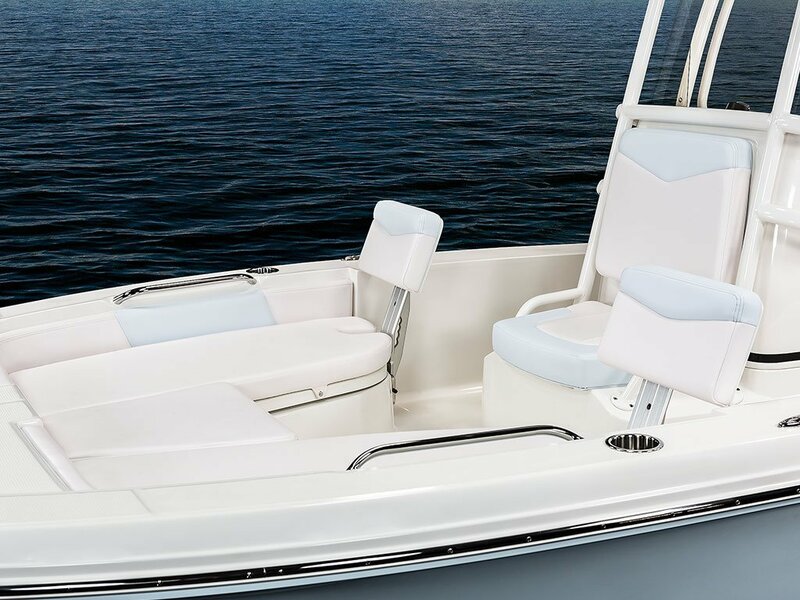 There are six, count’em six, rod holders bracketing that center console seat, which also happens to be hiding a trick 15 gallon live well beneath it. The console seat itself has a moveable backrest to focus attention either forward or rearward, as well as an adjustable bolster. It also houses a 70 quart cooler beneath it, plenty of space for all things lunch. 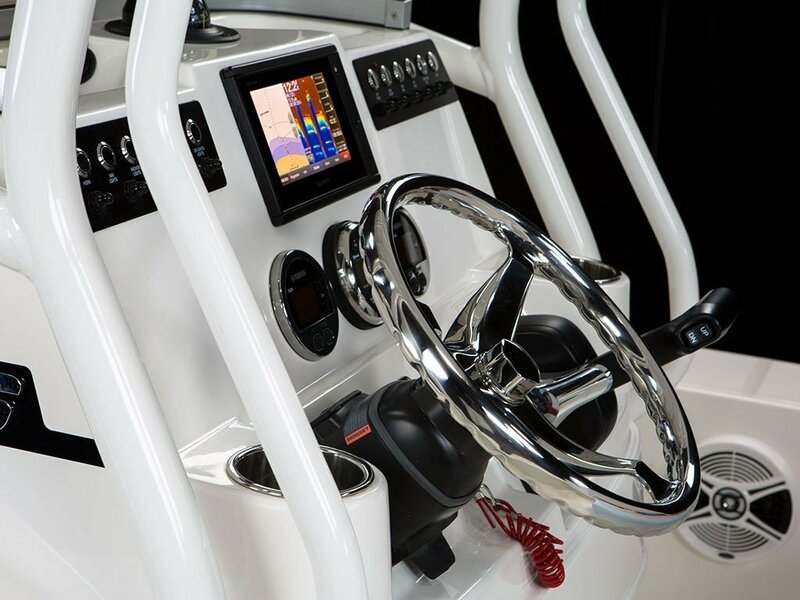 The helm has a footrest that is ergonomically well set and molded into the console itself, which has a useful compass front and center that is flanked by two large open storage spaces, presumably for cells phones, since the port side has a charging port built in. 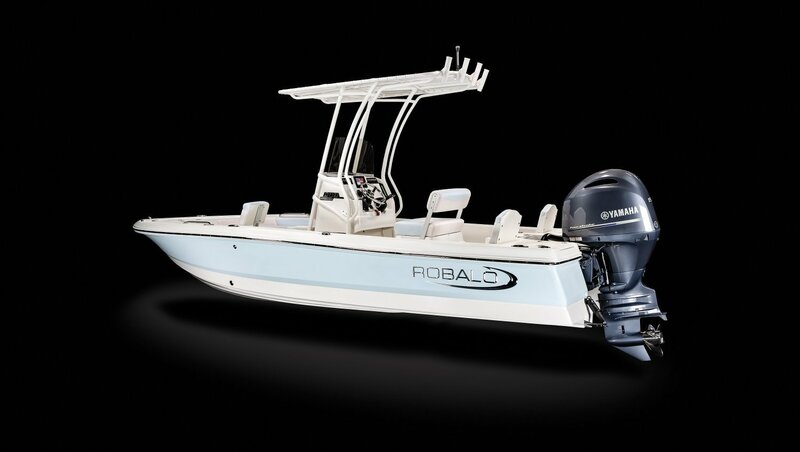 The requisite push button breakers are all easily in reach, while the Yamaha gauges are directly in front of the stainless and tilt steering wheel, which has more stainless steel in the form of two cup holders on either side. 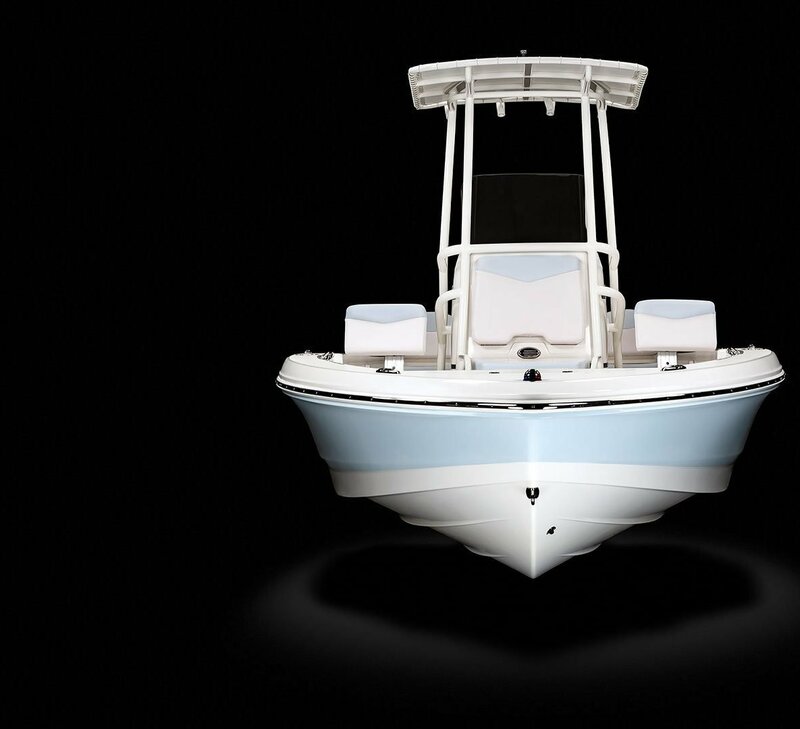 Towards the stern, the port and starboard seats also have hidden compartments beneath them that house both of the boats batteries. 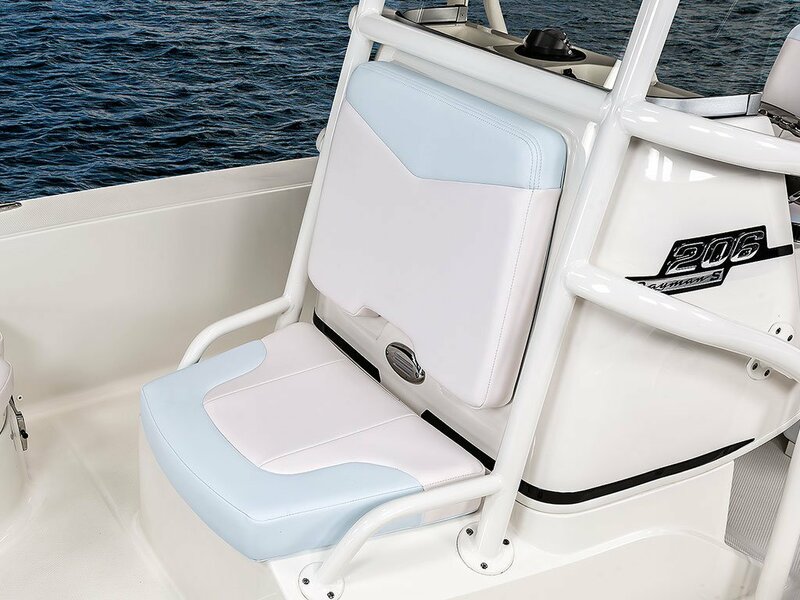 Both seats also can be folded down to create yet another casting deck, but we prefer to keep them upright because the padding is too comfortable to waste time not being used for sitting. But if fishing is the name of the game, there is yet also another 15 gallon live well nestled between those two comfy seats. There are two stainless cup holders big enough to hold most drinks you can buy at a convince store, as well as a built in bucket holder with storage. The standard Bimini top provides enough cover to do its job well. 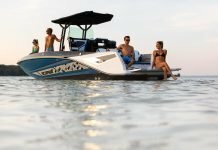 Power comes from either a standard 115-horsepower Yamaha or upgrade to the optional 150-horsepower variant for a little more giddy up. With the bigger engine, the Cayman S can reach nearly 50 mph in good conditions and still manage a cruise of 25.1 mph netting a 4.8 mpg, which works out to a range of just under 220 miles. 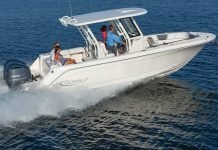 All Aboard For Boat Shows!